OSHA cited a battery manufacturing company in Augusta, Ga. for exposing employees to lead, unguarded machinery, and other safety hazards. Employees were exposed to lead amounts exceeding the permissible exposure limit and arsenic above the action level. Additionally, the manufacturer failed to record on OSHA’s 300 log that the employees were medically removed from exposure. OSHA also cited the company for failure to conduct training, implement a medical surveillance program, and properly guard equipment. Medical surveillance programs are important in ensuring the health of workers. For example, for heavy metal exposure, health screens can detect exposure to hazardous elements such as lead and arsenic. At the manufacturing plant in Georgia, some employees were exposed to lead levels more than five times the permissible limit. Although the company failed to keep accurate records, three employees were medically removed from the company last year due to high blood levels. “Elevated lead levels can cause debilitating and permanent health issues,” said OSHA Atlanta-East Area Director William Fulcher. The battery company failed to protect employers from both lead and arsenic. 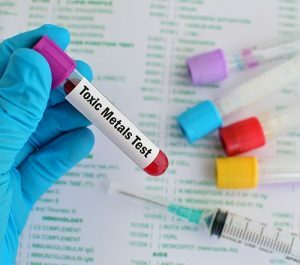 Arsenic poisoning can occur through chronic or acute exposure, and may cause constriction of veins leading to reduced blood flow and decreased nerve function. It’s been linked to diabetes, as well as pulmonary and cardiovascular diseases. In more serious cases, arsenic poisoning can lead to skin, bladder, and/or lung cancer, and may even result in death. Standard OSHA Requirements: Pre-placement exam; Annual Exam; emergency/exposure examination and tests; termination exam; work and medical history; chest x-ray; respirator fit test; medical professional evaluation. The United States is the third highest lead-producing country on Earth. Approximately 804,000 general industry workers, along with 838,000 construction workers, are potentially exposed to the metal. Lead exposure occurs mostly in industries such as construction, manufacturing, wholesale trade, transportation, and recreation. Heavy metal exposure, for lead, occurs during the production and/or use of rechargeable batteries, lead bullets, and radiators. Overexposure via ingestion and inhalation may lead to severe health issues such as lowered blood levels, which results in decreased cognitive function. Lead can also cause anemia, kidney disease, lung and/or stomach cancer, and even death. Currently, the company is facing up to $115,594 in penalties. See more about employer responsibilities as they pertain to lead here. Avoid costly fines and keep your employees healthy with convenient, on-site medical testing. Worksite Medical brings all the resources of a lab to you. Go Mobile today. Request your free quote, or schedule your testing via the form below.